Hell sunshine, how are you? I'm fine but unfortunately I have no news but today I want to spend some time updating my blog. In Milan winter is coming and I do not know how to dress. Finding nice but not leather shoes has become quite difficult. I chose these one because I love to wear clothes in the fall but I often find boots too high or too low. In this pic you can see the right compromise as they are over knee boots. They're smaller than other ones and the upper material is cloth. I love the heel because it's 4,5 cm and I think it's perfect for walking all day long. Now I want to show my fav ankle boots for women because I know that my followers have different ages. 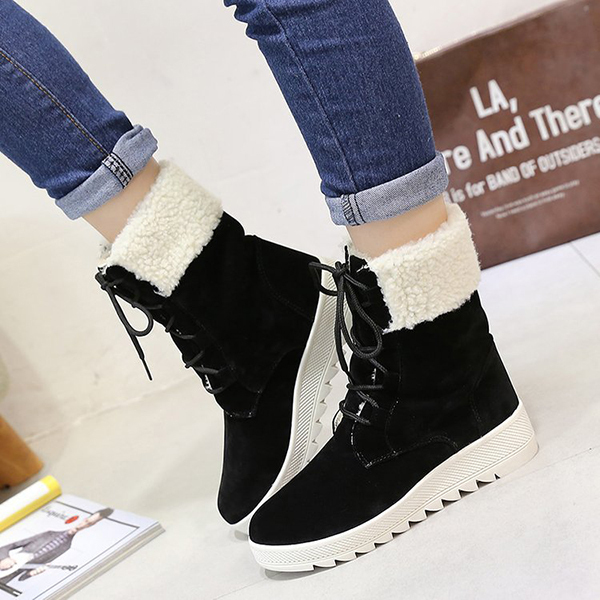 These round toe and lace up boots are so cute and you can wear them for a long walk in town because they're so soft and comfortable. These lace up boots have been chosen by my boyfriend because he loves leather ankle boots. These ones are all seasons boots perfect for a walk downtown or casual meeting. You can choose two colors: green as in the pic or blue. My boyfriend thinks it's better to buy a pair of green boots. Blue ones are too blue, you know. In this pic you can see one of Handmade Leather Boots with square heels and round toe that my boyfriend choose for his mother. They have 4,5 cm heel height, it's a medium heel and easy to wear. The upper material is genuine leather and the seasons in which theese boots can be worn are winter, autumn and spring. He suggest to treat with a suitable leather protector because he said me they're too nice! Which one do you prefer? Let me know! Mi piacciono gli stivalin alti, mi sembrano caldi e comodi! Sono tua follower, se ti va di ricambiare passa da me!